Yazoo cover of Warm Leatherette has surfaced. Together with the Frank Tovey/Fad Gadget version of The Normal (Daniel Miller) classic track, and the recordings of the first Depeche Mode tape (some of them still labeled as Composition of Sound) with the unreleased Radio News, today has been revealed that the band recorded this track. Some seconds of the track can be found here. Yazoo reunited for a 2008 tour. And now for one-night only Alison Moyet will be joining Vince Clarke onstage as his special guest to perform two or three Yazoo numbers. This brief Yazoo treat will be part of 2 DAYS OF MUTE AT THE ROUNDHOUSE LONDON. The two-day event will feature a line-up of Mute artists past, present and future alongside DJs, talks, workshops, screenings and installations. Alison and Vince’s performance will take place on the second day – Saturday 14th May – and Day Tickets are available here – make sure you select the correct date – the 14th. Tickets are on sale now. Saturday will also feature performances from such artists as The Residents, Laibach, James Brooks and (busy man) Vince Clarke with his current band, Erasure. It may be of interest to Yazoo fans that Daniel Miller will be performing a DJ set on the Friday 13th – please note that is the day that does NOT feature Vince and Alison. Vince Clarke confirms Yazoo Live album! The Erasure Information Service confirmed today the good news, the Live Album could be released in September! Original Yazoo Prints for sale! Joe Lyons, the artist who did the early picture sleeves of Upstairs At Eric's, and the 7" and 12" picture sleeves for don't go, and the recently released Nobody's Diary EP, In Your Room boxset, and Reconnected EP, is selling original prints of these great pictures: "2 limited edition sets of 3 prints. Only 200 signed and numbered sets in each edition worldwide. Each print is printed on A1 size heavy weight museum cotton rag paper and dispatched flat in a box." You can vissit Joe's website here. 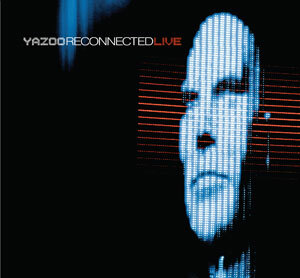 Yazoo performing Don't Go Live! !